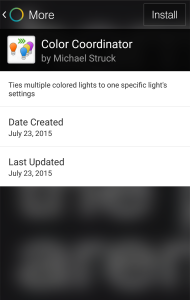 We just published 5 more SmartApps in the “More” section of SmartSetup. 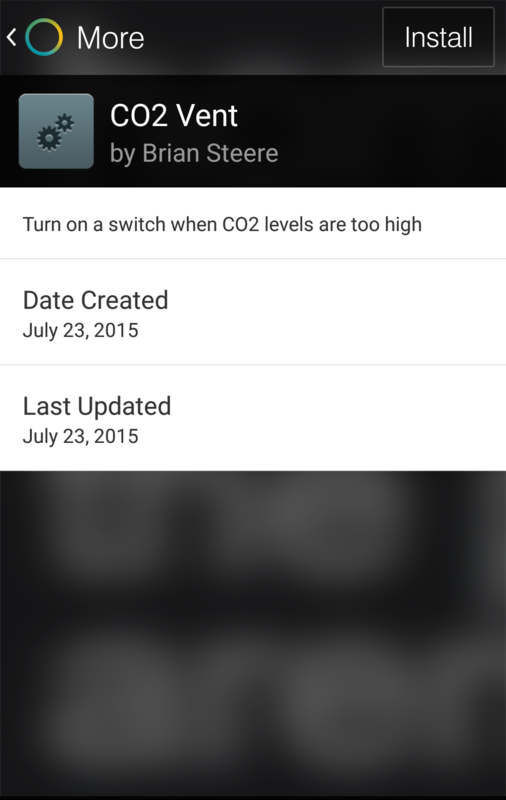 Like the many other SmartApps found under the “Actions,” “Alerts,” and “More” sections of the free SmartThings app, this latest batch lets you create rules that trigger your home to react when different things happen. 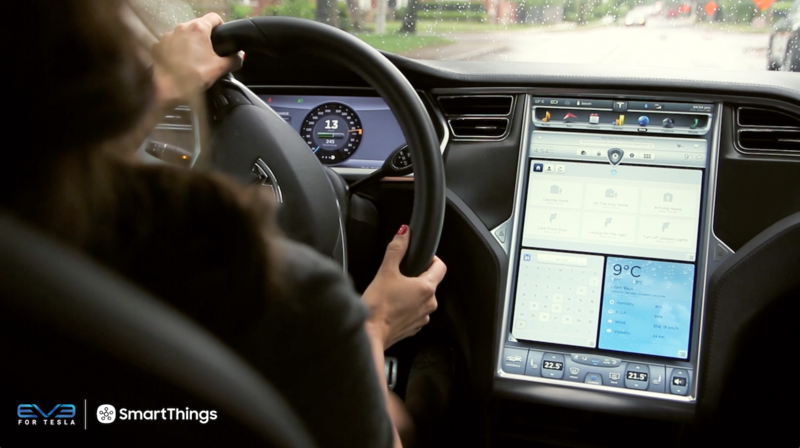 Once you set these rules, your will begin to automatically react to your unique preferences and become a smart home! 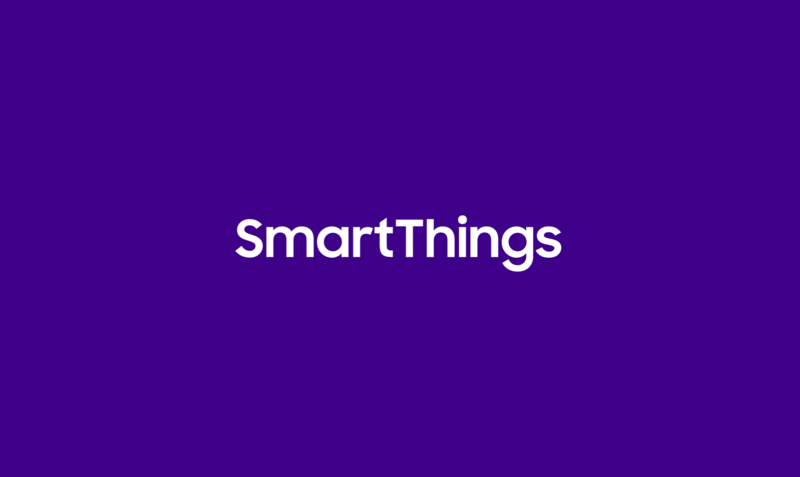 Here’s a look at what’s new and which members of the SmartThings Community submitted these new SmartApps. 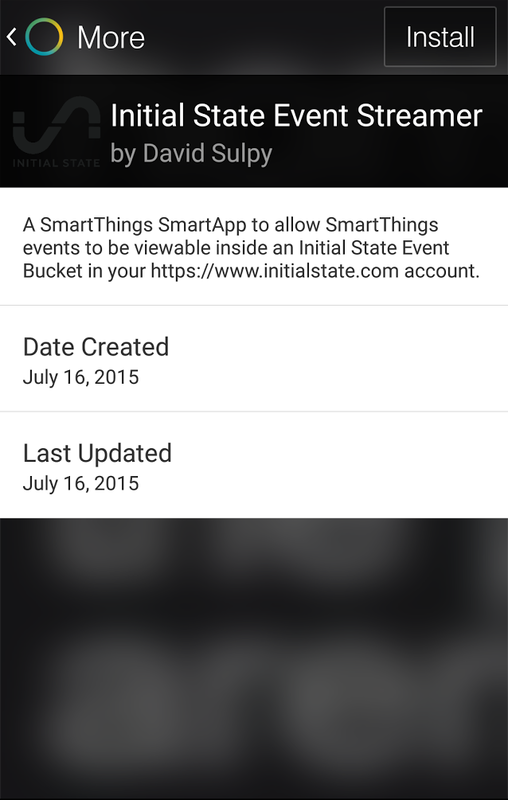 This SmartApp provides an integration between SmartThings and Initial State’s event visualization platform. 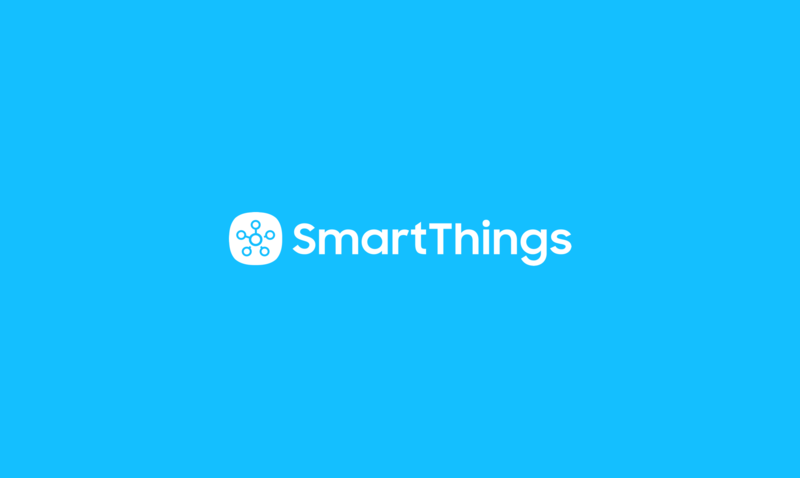 With this SmartApp, a SmartThings/Initial State user can see an instant dashboard and accompanied set of visualizations for the current and past states of all SmartThings devices in their SmartThings network. Why change one Phillips hue or other RGB light at a time when you change them all at once? 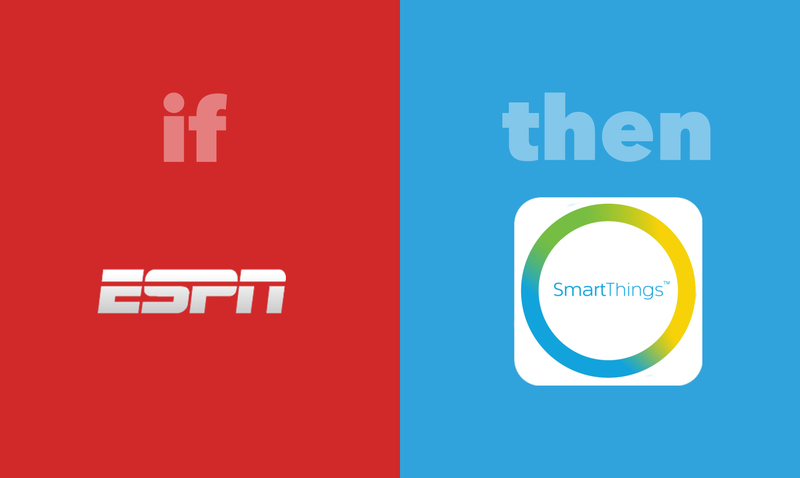 This SmartApp defines one “leader” light that other ones follow and makes it easy to change all the lights in a single room at one time. Whether you’re turning your lights off to go to sleep, dimming them for a movie, or changing them for a dance party, this will fill so many needs. With summer well underway, we are all feeling the heat. 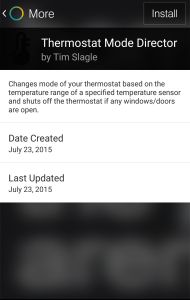 Stop sweating about remembering to set your thermostat with this SmartApp. 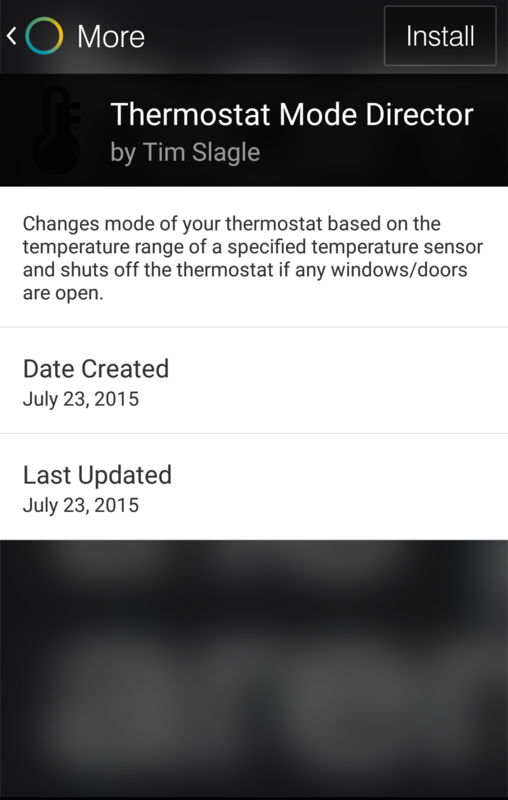 Thermostat Mode Director will tell your thermostat to cool/heat you when the temperature outside gets either too cold or hot. You’ll also never need to worry about “cooling the neighborhood.” If someone opens a door or window, the thermostat will turn off. We all know the feeling of getting into bed only to remember that the lights are still on and the switch is just out of reach. 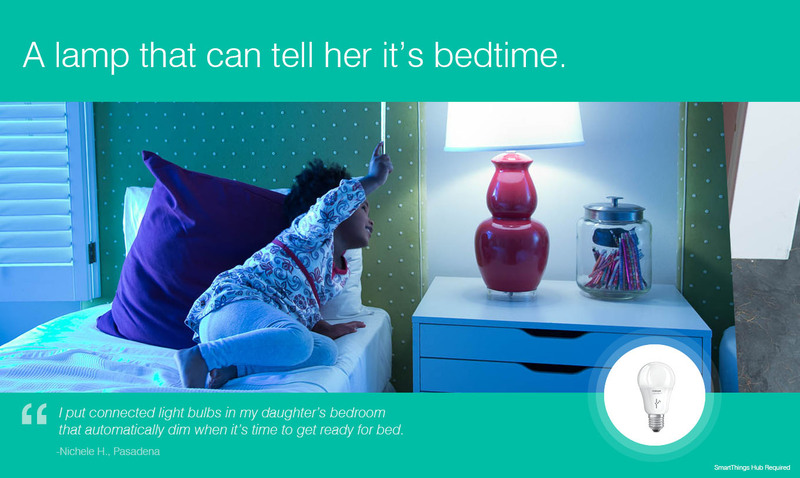 This SmartApp aims to alleviate that burden by leveraging a conveniently placed Multi sensor face down on your nightstand as your switch. Simply flip the Multi sensor up to toggle the lights! 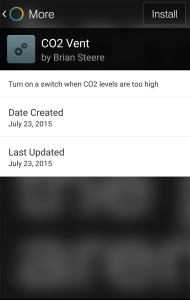 Worry no more about Carbon Dioxide leaks! 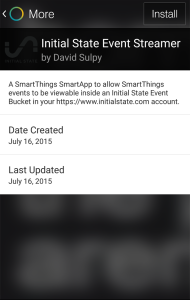 This SmartApp takes monitoring one step further than most typical alarms and takes proactive steps to keep you safe. Any time the Carbon Dioxide levels increase beyond a certain threshold a vent is turned on to get rid of any CO2 in the air.